Bob “Hoss” Houmard earned 10 letters at Orrville High School between 1962-65, starring three years in both football and basketball and four years in baseball. In football, he set single-season record of 1,255 yards rushing and 155 points scored. He played on teams which were 6-4, 10-0, and 9-1 and were Chippewa Conference champs two of the three years. He was chosen as an all-conference player, High School All-American, and North Squad All-Star in the North-South game. From Orrville, Houmard went to Ohio University, where he led his team to a berth in the Tangerine Bowl, was named Mid-American Conference Back of the Year, and played in the All-American Bowl. One year he was fifth in the nation in scoring (114 points) behind Mercury Morris, O.J. Simpson and two others. He was drafted 13th by the Pittsburgh Steelers of the NFL and first by the Winnipeg Blue Bombers of the Canadian Football League in the draft of 1969. He chose to ply in the CFL, playing for Winnipeg, the Montreal Alouttes, Edmonton Eskimos, Ottawa Rough Riders and Toronto Argonauts. 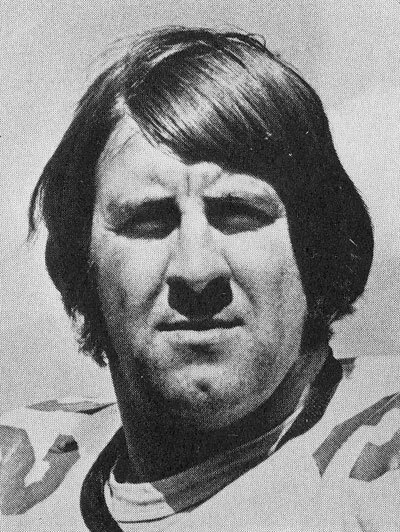 Houmard has also played for the Youngstown Hardhats of the Continental League and played and coached for the Memphis Southmen of the World Football League. During his stay in professional football, Houmard played every position on the field except center and quarterback. He was one-third of the largest backfield in CFL history, weighing (fullback) 242, (tailback) 252, and (flanker) 220, for a total of 714 pounds. He led the CFL in rushing and scoring for several seasons. A few years ago a tractor accident on his “spread” near Smithville ended his playing career. He now keeps active in sports by coaching little league in Smithville, where he said he had one of his greatest thrills-seeing his son, Ty win his first trophy last year.